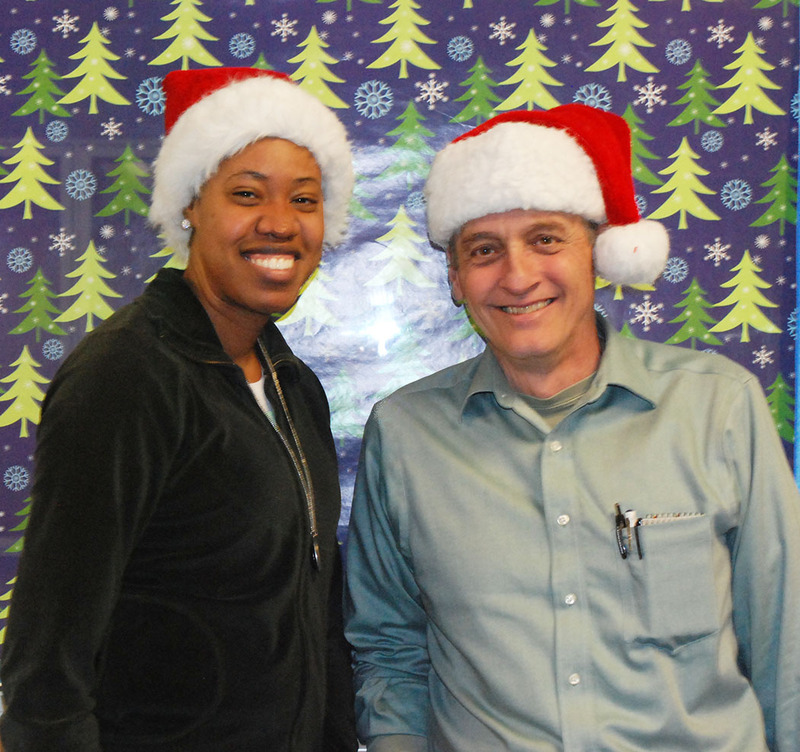 Ms. Patrice Rose and Mr. David Murphy, this year’s Santa and Mrs. Claus at RHS. Each year the Veritas staff chooses two teachers who exhibit holiday spirit to be Mrs. and Mrs. Claus. This year we chose Spanish teacher, Ms. Patrice Rose and Digital Media teacher and WRPS Director, Mr. David Murphy. They answered a few holiday questions for us. How does it feel being chosen as Mrs. Claus? I’m surprised that students chose me, but, I’m happy to be Mrs. Claus this year. What is the one thing you enjoy during the holiday break? A break 🙂 Seriously: spending time with family and friends. What is your favorite part of the holiday season? The giving and jolly spirit of everyone. What is the one thing you want most for the holidays? Mr. Claus…….but this is the busiest time of year for him. If you could play a holiday song constantly, what song would it be? The Christmas Shoes. What is a holiday wish you have for the RHS student body? I hope you get all that your heart desires and hope all of your dreams come true. How does it feel being chosen as Mr. Claus? It feels great to be chosen Mr. Claus. I actually consider it an honor. Who better to be than Santa? I work one day a year! What is your favorite treat for the Holidays? My most favorite holiday treat is eggnog. Were you expecting to receive this title? I was not expecting this honor. I’d like to thank all the little people who made it possible, and by “little people”, I mean elves. What has been the best gift you ever received? I remember when I was very young I got this electric (not electronic) toy that had a spinning globe and moon and a spaceship that you could land on the globe. I still have a home movie somewhere of me playing with it. I loved that toy. In fact, it may have started my love of electronic, which ultimately led to my being here at RHS. What is the holiday movie you enjoy most? We always watch Christmas Vacation and Scrooged. What is a holiday wish you have for the RHS student body? My holiday wish for the student body is that everyone gets the present they really want, unless it’s sneakers. Some of you guys are way too involved with your sneakers.